That’s always been funny to me. You heat an oven when you turn it on. It’s one of those phrases in cooking that people use, and though it’s incorrect, it’s part of the language. More importantly, you might be surprised to learn the temperature of your oven is not a big deal. Most ovens are not perfectly calibrated anyway, so 400 degrees is likely 390-410. I found an awesome post on this subject to share with you, and you’ll never worry about your oven setting again. People made fantastic bread a million years ago, long before there were cookbooks, directions and oven settings. 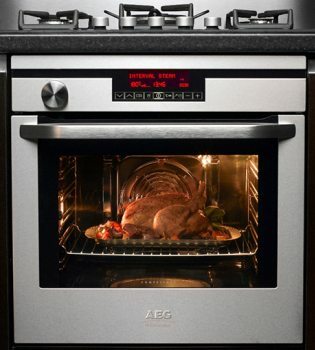 While there are temperature ranges for great oven results, they are merely suggestions. Toss that standing rib roast in the oven, turn up the heat and worry not – you’re going to check it with a meat thermometer anyway, and you’ll know when it’s done. Read the knowledge from Slate and enjoy your kitchen. Adlib, experiment, do your thing. Chances are it’s going to turn out fabulous.